First published in 1726, this collection of Lemuel Gulliver’s fascinating voyages all over the world, has been loved, read and re-read by every child and adult familiar with the English language. The story appealing the children for its fictional quotient made of wonderful creatures ranging in size from a few inches to several feet, flying island, etc. and to adults for its keen representation of human nature and European society. The witty and satiric style of Jonathan Swift’s narrative has an universal appeal to every intelligent reader while the circumstances and surroundings aid in accomplishing the tale by providing the elements of fantasy and thrill. Gulliver, a surgeon on a merchandising ship, finds himself to be the lone survivor after a shipwreck on an unknown shore where he falls asleep out of weariness. The next morning, he wakes up to find himself bound by tiny threadlike ropes and surrounded by a crowd of people, less than 6 inches high. After a while, “the Lilliputians” are convinced of his being harmless to them and slowly Gulliver gets accustomed to the people and the place. His observations of this race and their way of living, their king and his court, Gulliver’s accommodation and way of living form the next few chapters of the book. Gulliver also assists the king in a war with their enemies, the Blefuscidians, by depriving them of their entire feet but refuses to help the king in enslaving them. This and the strong dislike for him by some of the king’s ministers bring on Gulliver the dislike and penalty of the king. To escape from this, he runs away to the island of Blefuscu, from where he manages to leave the country in an abandoned boat. A passing ship rescues him and brings him back to England. Gulliver ventures to a sea voyage again on a ship called Adventure which facing a storm goes off course and is forced to land at an island for fresh water. Gulliver goes on the shore and finds himself abandoned while roaming around as his fellow shipmen are driven away from the land by a monster. On the island he finds himself with the race of giants with height more than 70 feet. A farmer brings Gulliver home where his daughter nurses him. The farmer treats him as a curiosity and exhibits him for money. The Queen of Brobdingnag takes a liking to Gulliver and buys him off along with hiring his nurse as governess. Gulliver becomes a favourite of the royal family and discourses with the king at length about his native country and the rest of mankind. Though treated kindly, he keeps encountering many ridiculous accidents due to his puny size. Finally, one day, when on sea-shore, a giant eagle takes away Gulliver’s wooden house with him inside and drops him in the sea, from where he is rescued by some sailors and comes back to England. This time, Gulliver’s ship is attacked by pirates who force him to leave the ship and the guy finds himself on a desolate rocky island, from where he is rescued by the inhabitants of a flying island, called Laputa. The description that Gulliver gives of the Laputians, is a strong caricature of that of musician and mathematicians, describing them as totally impractical race dwelling in the theoretical arts only. Laputa flies over a bigger island called Balnibarbi by virtue of its magnetic properties. Gulliver describes the people, the king and his kingdom, and his method of ruling from sky. He next ventures to visit the capital city of Lagado and its grand academy where all kinds of disgusting, ridiculous and fruitless research work is done. Waiting for a ship to go to Japan, Gulliver takes a short trip to the island of Glubbdubdrib, which is inhabited by magicians. The chief of magician has power to bring back the dead and Gulliver enjoys conversations with all his favourite philosophers, politicians and other great men from history of his choice. In Luggnagg, he comes across immortals called struldburgs and for the first time starts considering the problems that immortality will bring in form of old age and infirmity. Finally, he goes to Japan, and from there to England with an intention for staying home for the rest of his life. But the sea calls Gulliver again, and he starts his journey as a captain of a ship. During the voyage he loses some men due to illness and is forced to recruit others from different places, who finally turn the crew against him. This band of seamen is going to become pirates and hence casts away Gulliver in a landing boat. On this island, he first encounters a deformed, hideous and savage race of animals and later the masters of this land, apparently horses with advanced and reasoning intellectual capacity, who call themselves Houyhnhnms. The savage race is nothing but uncivilised and brute humans known as “yahoo” on this island. Gulliver becomes a member of the horse’s household, and slowly becomes extremely fond of their lifestyle and way of thinking, realising all the follies and vices of humankind during his conversations with his master horse. He reloves to spend rest of his life on this island but the Assembly of the Houyhnhnms rules that Gulliver, a Yahoo with some semblance of reason, is a danger to their civilization, and expels him. Gulliver’s Travels is often considered to be a children’s book, mainly due to the wide publicity and popularity that the first part of the novel describing Gulliver’s adventures in Lilliput has received. But, the book in reality, is a reflective and mufti-dimensional work that addresses and represents many a traits of the human nature and human society. The chronicles are full of metaphors and the best part that links these together is the change of perspective. In every part of his voyage, Gulliver encounters a different race i.e., small, big, scientific and eccentric, wise and natural, and hence, starts viewing himself and rest of his brethren with a different point of view, identifying the evils in the human society and their root causes step-by-step. At the end of his voyages, Gulliver is a changed man, so much so that he abhors the mankind in general. Does this review help you in making your decision to buy or read the book? Is it useful in your project? Do not forget to share this article with your friends over various social networks via Twitter, Facebook, Google Plus and others. And yes, you may like to subscribe to our RSS feeds and follow us on various Social networks to get latest updates for the site to land right in your mail box. Glad to know that it helped you 🙂 You are most welcome. Feel free to share with your buddies who may need to refer it as well. It was a helpful review for my school project. We are glad that it is helpful to you. A very nice book review it helped me for my projects thnx. We are glad that the article is helpful to you. I saw the Gulliver’s travel movie few years ago…and i like it….but i dont know that there are 4 parts of Gulliver’s travel….when i have to write a book review on any book….i search Gulliver’s travel book review…. And found your reviews…. Then i came to know that it has 4 parts…… I read the review and found it soooooo much interesting …and read the all parts…. We have also received feedback that we should have it longer than it is. Anyway, we can go ahead an have a summarized version of this one. Will it be fine? What you suggest? I have to write a review for homework..
How should i start the 2nd paragraph before writing this??? I found it very useful for my summer vacation homework☺☺☺☺. We are glad that the article is helpful to you. Let us know if there are any other books you want us to review for you. Thank u very much…. Was really helpfull for me….. ? Anyway, it depends upon the context you are asking about. Do let us know. Glad that it is helpful to you. We are glad that you like the article and found it helpful. Do let us know if you want to suggest any other book(s) for reviewing. Thnx a lot for this…!! Most welcome Shaurya, we are glad that the article is useful to you. Most welcome Ashmita, we are glad that the article is helpful to you. We are happy that our personal informative reviews about the book – Gulliver’s Travels are useful to you. its very helpful and intresting for me thnx to the author jonathan swifts and all the editors . can i have a intresting book for free? We are glad to know that you find it helpful. 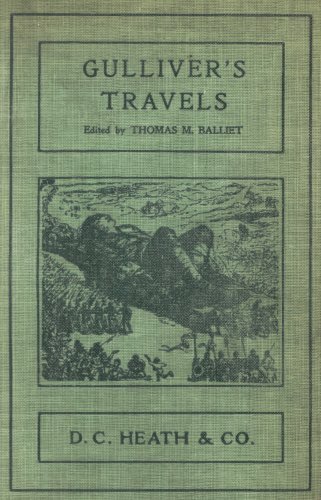 Gulliver’s Travels book is available for free at Project Gutenberg. Here is the direct link to the book page, where you can select your desired version. The book is also available for free at Amazon.com as well. We are happy that our personal views and reviews are helpful to you. It helped me a lot …thanks..!! but i just have a request if you can even post the opinion/review on each part of this book..help if you can..
We are glad that the reviews helped you. We will try to fulfill your request to review each book separately. this is awesome. by reading this, i can able to do my assignments. many thanks to thinkerviews. Thank you for the comment. We are glad that our personal reviews are useful to you. Do let us know if there are other books, you want us to review. We will surely try to fulfill your wish. We are glad that you found it useful from school projects point of view. Let us know if there are any other books you are looking for similar reviews. it was a very useful review for school projects. sincere thanks to the concerned. it helped me a lot………..
Glad that it helped you and you find it interesting. It has been a pleasure for us that the reviews are useful to you. It has helped me a lot. Thnx ! We are glad that you found it helpful and like it.